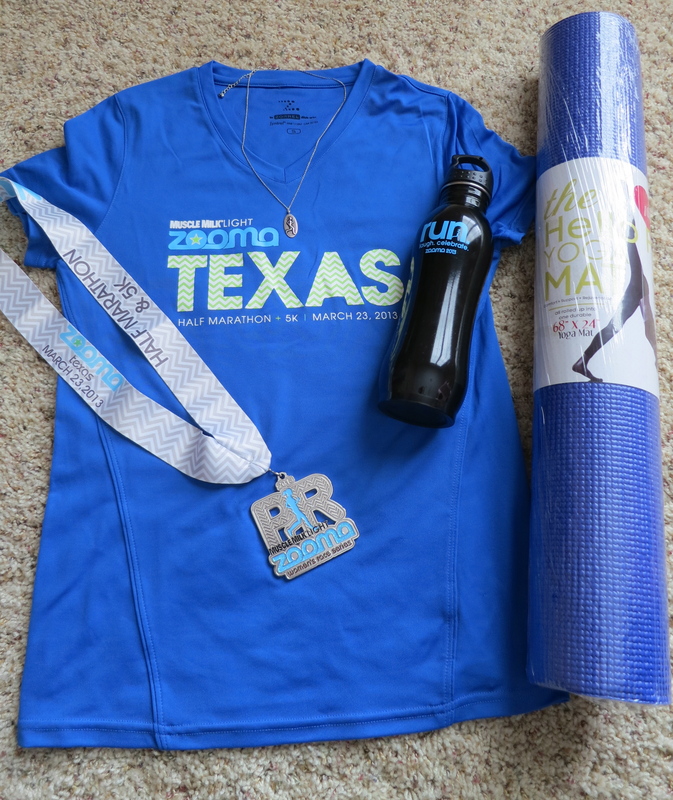 Zooma Texas Half-Marathon – I did it! 13.1 HILLY miles – check! 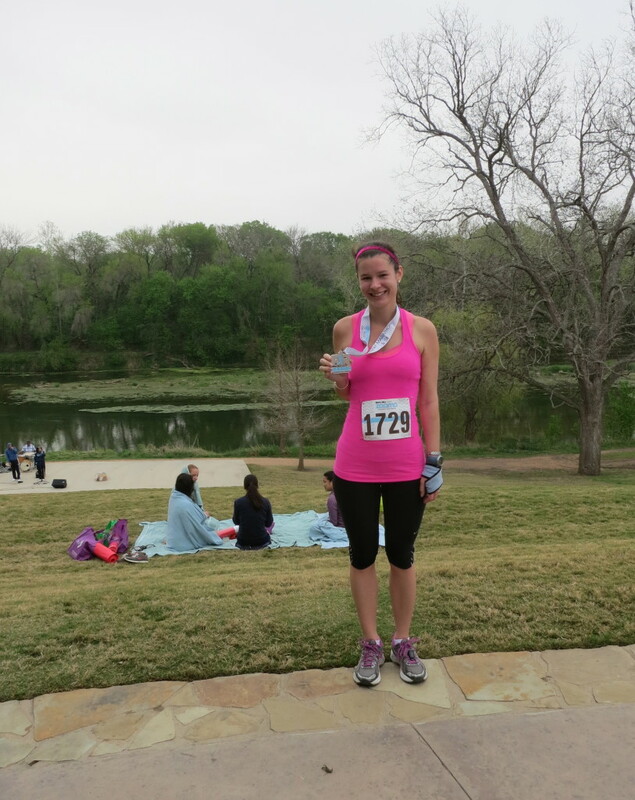 It’s official – I ran my first half-marathon! In December, after committing to be a Zooma ambassador and run the Zooma Texas half-marathon, I ran my first 10k as part of my training for the half. Again, I felt like death at the end of the race and couldn’t imagine running over double the mileage in a few months. I couldn’t believe I had signed up for a half! 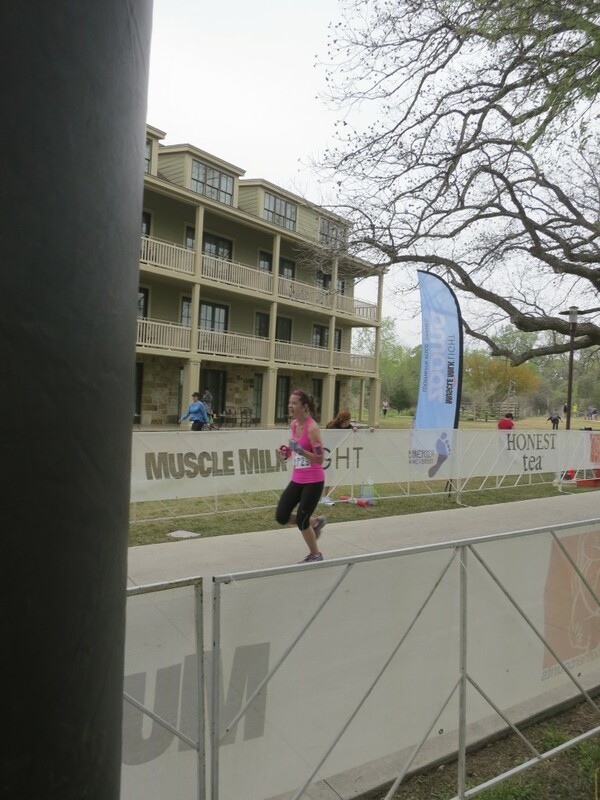 On Saturday, I ran my first half-marathon through the Texas hill country. And thirty minutes faster than I had hoped for! I crossed the finish line at 2:28:43. I was fairly confident I could finish the race, but coming in under two and half hours when I hadn’t trained on ANY hills was beyond my wildest dreams! The race is known for it’s hills. While I knew that going into it, I live in Houston where there are absolutely no hills, so I trained on completely flat terrain. The first three miles were really hilly and I remember beginning to question if I could really finish the race. The second three miles were even more hilly. Driving into the resort, my car had trouble getting up some of those hills! I took the hills one at a time, ran when I could and walked when I needed to. After the first six miles or so, the course went onto a long flat road with just a couple hills and I was in heaven (well, not really, because I had run 6 miles and was already exhausted!). It then ended with a couple miles through a winding and subtly hilly golf course. I honestly felt pretty good throughout the entire race. I never had any major pains in my calves, and I only had to stray from my 4:1 run to walk ratio a couple times when the hill was just too steep to run. I realized about halfway through the race that I really had a chance of coming in under two and half hours if I kept up my current pace. When I was still set to make it with two miles left, I knew I had to give those last two miles everything I had – and I did! However, one of the most remarkable things was not feeling like I needed to lay down when I crossed the finish line. On all of my long training runs, I could hardly make it through the last half mile. On race day, I sprinted through the finish line and began intently searching on where to pick up my medal! It really seemed like luck was on my side on Saturday. The weather was supposed to be surprisingly hot with a high of 90, and instead the entire race was a perfect 60 degrees. The humidity was bad, but I’m used to that from training in Houston! Zooma put on a great half-marathon. The Hyatt resort was beautiful (though I don’t think I’d ever pay that much to stay there again!) and it was SO nice being able to wake up and walk right down to the start line. The pre-race festivities on Friday night were fun and everything was well organized. My only real complaint was the traffic on the road at the beginning of the race, but I’m not sure anything could have been done about that. I loved receiving both a finisher’s necklace and a medal for achieving a personal record (my first half), and I also loved being able to look up your time on the computers in a tent after the race. They also had a notification system that would text updates to family and friends when you crossed 6 miles and finished the race, which I thought was pretty cool! The race swag was awesome too – a tech shirt (that actually fits! ), a cute water bottle, and a yoga mat. Not counting all the cool stuff I received for being an ambassador! I’ll be writing another post explaining my training and tips that I picked up in these last few months. I will say this – training for a half-marathon is not easy! It takes a lot of dedication and pushing yourself. There was a time around Christmas when I truly almost backed out of the race. I am SO glad I didn’t! After finishing the race, more than anything I’m truly grateful to have been healthy enough to run a half-marathon. I also strongly believe that if I can run a half-marathon, anyone can run a half-marathon with enough training and personal commitment. Will I run another half? If you asked me a week ago, I would have said no. I wanted to finish this race, be able to have said that I ran a half-marathon once in my life, and be done with long runs. Today, I admit I may have officially been bitten by the race bug. Although I really did hate some of my training runs, the accomplishment on race day makes it all worth it. I love the phrase, “Run because you can”. If I’m healthy enough in a few months, I think I’ll be signing up for another half! A special thanks to Zooma for giving me this opportunity, and to the other ambassadors and Muscle Milk Light Challenge Participants for continually inspiring me to keep going! 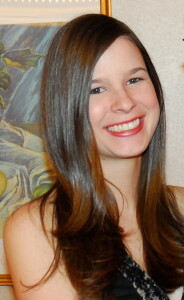 This entry was posted in Fitness, Half-Marathon Training, Running. Bookmark the permalink. 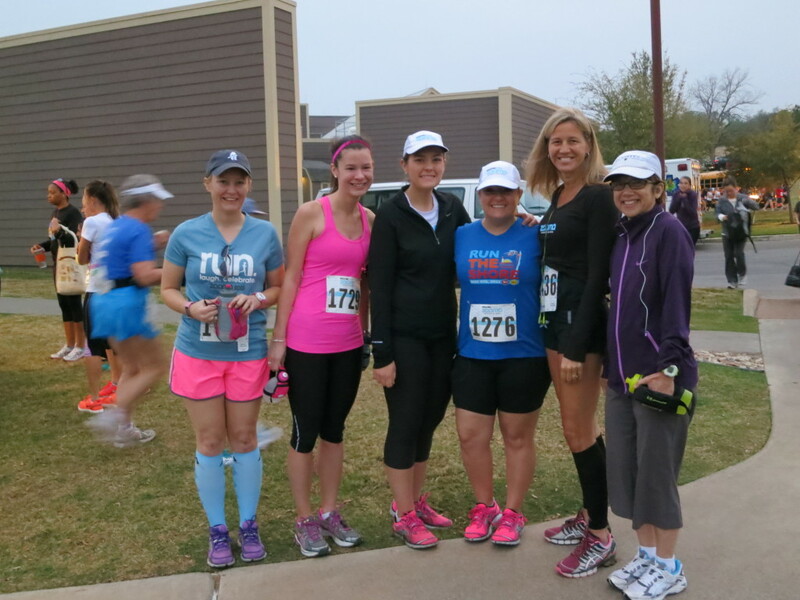 10 Responses to Zooma Texas Half-Marathon – I did it! Congratulations Caroline! I’m so impressed. I once ran a 10K and thought that was hard. I can’t imagine running 13 miles. Congrats! This post said so much of how I felt, as well as other things I felt but forgot to put in my post. No joke, standing in line to pick up my packet, I said I didn’t think I would ever train for another half again. After the race, I knew I would. Congrats on your first half!! I hope you’re still enjoying the post-race high:) there’s something really special about that first 13.1- I’m a year out from my first one and I still smile when I think about it. Great job!! Congratulations, Caroline, on your first half and on doing so well on those hills after training on the flat! Wow! The swag looks good to me, certainly better than anything I’ve ever gotten at a skating competition. I’d like a new yoga mat and a shirt that fits!